Many think that curling is somewhat of a dying sport, but to the thousands that play recreational or at the competitive level of the sport, its inexpensive, healthy and a relaxing evening out. Not only is it played by clubs, teams or a pick-up team we are seeing local schools get involved having a team that competes against other schools in the area. Local championships can be followed by zone championships allowing the school teams to advance to provincial championships, which puts their school on the map for sports. Now we are hearing that the Delta Secondary competed and are headed to the BC High School Championships which will be held in Maple Ridge in February after coming off a remarkable victory at the Lower Fraser Valley Playdowns held this past week. The rink is made up of the following grade 12 students who were initially introduced to the sport while attending Holly Elementary School in Ladner and loving the game the way they did they joined the Junior program at the Tunnel Town Curling Club in Tsawwassen. 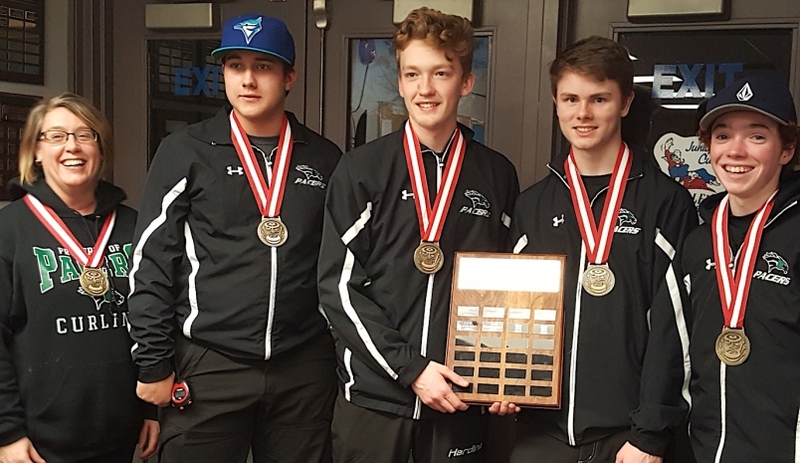 The team is coached by Marcie Henry and is comprised of Connor Deane, Sam Husdon, Clayton Henry and Tavin Edge who managed to win the event consisting of 10 teams and was held at the Cloverdale Curling Club. They had come to winning the title in previous years which included finishing as the runner-up to Elgin Park. Connor Deane and Sam Husdon recently competed at the BC Junior Championships where they played a key role helping Team Ulbach for a fourth place finish. The BC High School Championships consists of 8 teams and will hit the ice Feb. 27 and run until March 2nd. 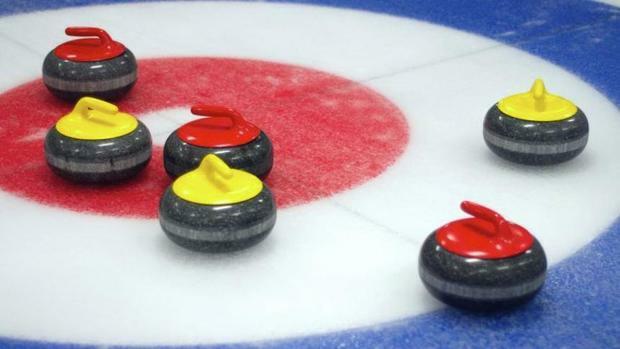 On a side-note to the above and you live in an area where curling can be expensive and you have the luxury of playing outdoors on your own ice, why not make your own curling rocks? While you can and it can be inexpensive to do and if you follow the following you can be a master to your own new product line and maybe curl at the Delta Thistle Curling Club at the North Delta Rec Centre. The rocks can be made out of salad bowls, preferable a large one with a hole cut in the bottom of it or cut out. Before pouring in the cement be sure to spray the inside with cooking oil so the cement won’t stick and will come out of the mold. When the cement is still moist or wet place in your own home-made handle and make sure you can get a solid grip on the handle so as to throw the stone. You can secure the handle in the cement by making a cross at the bottom of the handle so it will not come lose, otherwise the handle is finished and you have to make a new stone. 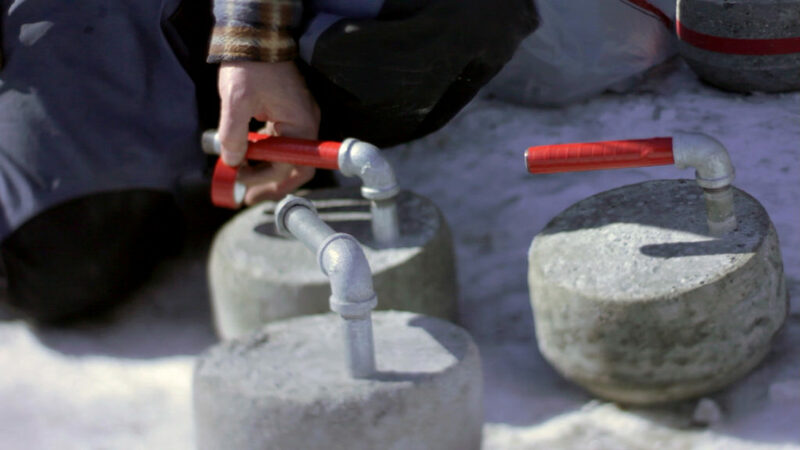 Once you get finished be sure to place colored tape on each stone and there you have it – your own home-made curling stones.